Become a role model for a school-aged student. 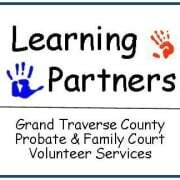 Learning Partners are matched with at-risk and court-involved students to help them with their academics and life skills. Work in prevention or intervention, all under the direction of the classroom teacher or other personnel. You support the student and help confidently build successes. Just regularly, consistently being there --showing up when you said you would -- means a lot to a struggling youth. Expect training, monthly volunteer meetings and professional support. Expect to make a difference in the life of a student. One hour, one time per week is the average. Travel time to school or other location and brief report writing may be included in or added to the hour. Year-round program, but less time commitment and more flexible in the summer months. Must submit volunteer application and pass background checks. Orientation and attendance at monthly volunteer meetings is expected as available.